A regular cast member from Gossip Girl recently described what it was like to witness the birth of his first child to People.com. 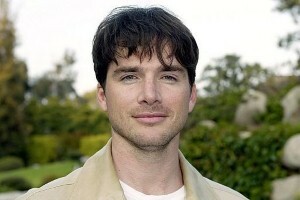 Matthew Settle, who plays father Rufus Humphrey on the show, said he wasn’t excited at first because he was "still a bit afraid about my qualifications [to be a good dad], according to the article. However, that all changed the second he heard his daughter Aven Angelica cry for the first time. "It was a wonderful thing," Settle said. "Something just opened up this light inside of me. I felt this intense love pour throughout my body. All the anxiety you live with, things you worry about, all of that just melts away." When asked if playing a fictional father on television helped develop his parenting skills, Settle said he would like to follow his character’s footsteps. "The relationship that Rufus has with his kids is based on mutual respect, so it’s not the old traditional ‘spare the rod, spoil the child’ kind of [mentality]," Settle said. "Nothing is ever too big of a deal for Rufus – that affects me and makes me strive for that."